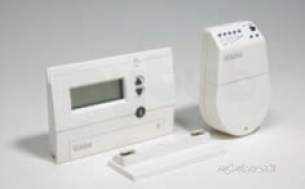 VOKERA OPENTHERM PROTOCOL CONTROL This control uses OpenTherm protocol technology to modulate the Vokèra boiler outlet temperature in order to maintain a specified room temperature, maximising boiler efficiency and comfort levels. Functions include Holiday Function, Optimisation Function and Info Function. Advanced technology makes the OpenTherm the most energy efficient control available and can save up to 10% of a homes energy consumption reducing fuel usage as well as reducing CO2 emissions. Price of product great. Price of postage excessive. Something tells me you are using the postage costs to supplement the cost of the product! Why choose MyTub Limited for vokera opentherm protocol control 611?